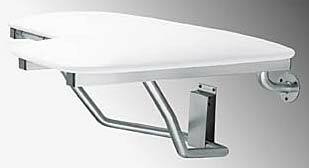 This one-piece L-shaped transfer seat comes in durable high-density polyethylene (HDPE). When properly installed, all seats are designed and manufactured to exceed all applicable Federal load specifications and comply with all A.D.A. requirements.